You have an apple, clean bare out of its skin. The skin in one long piece. Who would have guessed the most exciting tool in your kitchen would be an apple peeler. Comes with recipes, extra blades and instructions. Fun, super fast, easy to use, a great gift and amazing. Have a lot of apples to do? Great! 3 Extra blades, instructions and recipes included. 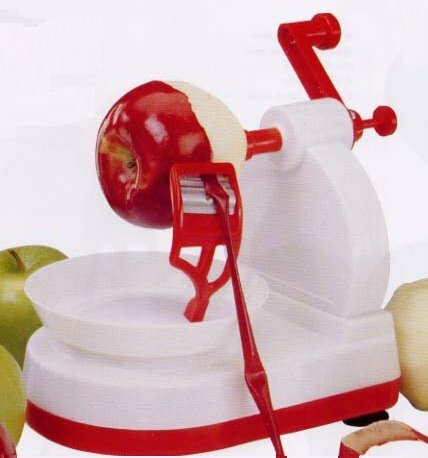 Apple Peeler text, images and video are copyright.